Apart from half-century against Delhi Capitals (DC) and 20 odd runs against Royal Challengers Bangalore (RCB), Yuvraj Singh has not much to show in his four innings for Mumbai Indians (MI) in the ongoing Indian Premier League 2019 (IPL 2019). After being drafted in Mumbai squad at a base price of INR 1 Crore all eyes were on how Yuvraj will perform. Though the left-hander has played only four matches for his new franchise thus far, his contribution has dipped after each game. MI vs CSK Stat Highlights IPL 2019: Mumbai Indians Becomes First Team to Win 100 Matches in Indian Premier League. In a losing cause against Capitals, the 37-year-old registered a half-century. He then looked at his best against RCB for a brief period of time before being dismissed. In last two outings against Kings XI Punjab (KXIP) and most recently Chennai Super Kings (CSK), Yuvraj returned with scores of 18 and four. And in both the games he dismissal occurred a crucial stage of the match. 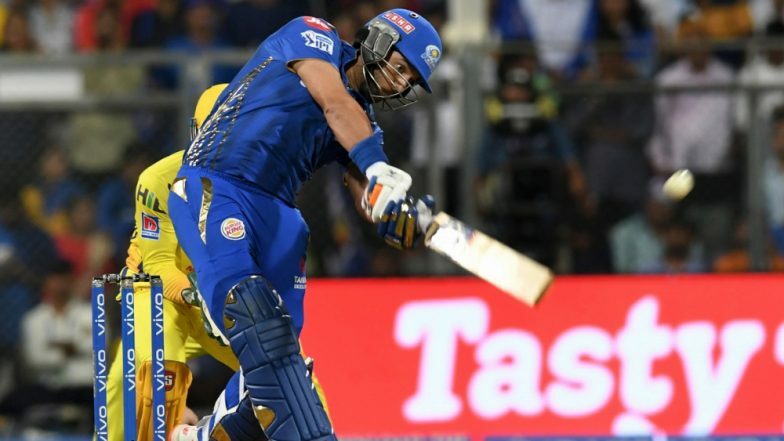 Fortunately, Yuvraj’s poor show against CSK did not cost MI the game, but it has certainly put question marks on the veteran’s place in the playing XI. Especially, when a young talented batsman like Ishan Kishan is warming the bench. Yuvraj Singh Posts Self Troll Tweet As Mumbai Indians Start Practice Ahead of IPL 2019. After the four matches, Yuvraj appears to be the weak link in the Mumbai’s batting department. Ishan last season had a decent outing with the bat for Mumbai as he scored 275 runs from 14 matches, which included two half-centuries. It will be interesting to see whether Mumbai persists with Yuvraj or gives Ishan a try for the first time this season. While the rest of the batsmen have their places cemented thus far, it is Yuvraj who needs to good performance. As of now, it is sure that Yuvraj is blocking Ishan’s place in the Mumbai playing XI.